The Certificate in Online Business Manager Programs have been followed by Senior Managers, Directors and their teams at leading well-known organisations around the globe. We have now launched an extended advanced series of certification course, delivering cutting-edge knowledge and a strategic and innovation skills examination. COB Certified E-Commerce Manager Program: "I have found the trainer to be very knowledgeable on the subject matter and great at delivering the concepts through an interactive and enjoyable classroom course combining theory, case studies and practical exercises. The week-long training was an enjoyable and very informative experience which I would highly recommend to anyone who works in the field of eCommerce". Elisa Pogliano, E-Commerce Leader Procter & Gamble UK & Ireland (now Omni-Channel Director at Mattel). "The experience I had of the COB Certified E-Business Manager Program was remarkable, and very fulfilling. Being introduced to the world of E-Business was worth the investment. The e-business strategy and planning elements were particularly interesting, as it required a shift in mind-set from the traditional strategy management planning. I recommend this course, as it not only taps into the commerce element, but also on how efficiency can be achieved through automation. ", - Portia Matsena, Acting General Manager Commercial, South African Post Office (Part of an Executive Leadership Team trained by our founder on site at The South African Post Office). 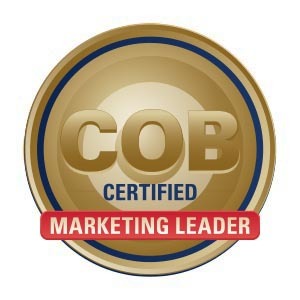 Become a COB Certified Marketing Leader, and gain some expert industry insights, and practical strategic and innovation know-how to transform your marketing performance. Licensed training providers charge £5,250 / $6850 (US) for each part. Delegates can save by booking the complete program (of two parts) at £9,450 / $12,495 (US). The manager program can also be booked as on-site team course for staff of all levels. Leaders can then extend onto the Leadership Program. 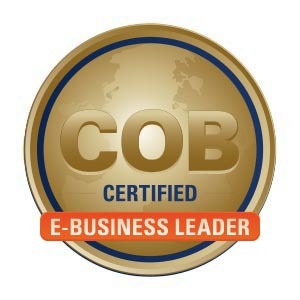 Become a COB Certified E-Business Leader, and gain some expert industry insights, and practical strategic and innovation know-how to transform your organisation. Become a COB Certified E-Commerce Leader, and gain some expert industry insights, and practical strategic and innovation know-how to maximise your sales, and stay ahead of your competitors. The manager program can also be booked as on-site team course for staff of all levels. Leaders can then extend onto the Leadership Program. As a new programs, the Strategy & Innovation Program is delivered exclusively in partnership with The Institute for Business Advancement, and are led by our President, alongside other world respected business leaders and experts. E-Business Strategy, Planning & Management E-Learning prior to attending the following classroom dates. (COB Certified E-Commerce and Marketing Leaders only).